The general consensus seems to be that Beck’s rally was little more than another of his attempts at race-baiting and an affront to the civil rights movement, as in fact it was. It was primarily deemed a self-aggrandizing religious revival and motivational speech, which it also was. But, what seems to have been missed was the redefinition of the civil rights movement to suit a very specific, very political, and very conservative agenda. 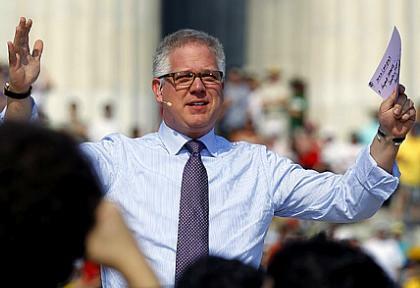 To accept the ruse that Glenn Beck’s rally was religious, rather than political, is to miss the message Beck was sending entirely, as well as the basis of his ‘100 Year Plan.’ His theme of Faith, Hope, and Charity was nothing more than a re-dressed version of his oft-repeated call for the drastic weakening of government and the elimination of all public funded, and public managed, social programs. He cloaked his politics in religion and seemed to fool everyone. Faith, Hope, and Charity is his innocuous sounding recipe for extreme Libertarianism disguised as a revival of the church, rather than as a deconstruction of responsible government. Beck insists on a smaller, impotent government, and rails against what he calls a nanny state with entitlement programs. Faith should be in God, not government. He states that any such services or supports should be offered through churches or synagogues, or by individuals exercising their religious duty of alms-giving. This is the only acceptable form of charity. Conservatives have often proposed that churches should provide social services, rather than the public provide their own services through their government. While this provides them with a convenient argument for the lowering of taxes, it also results in immediate, and drastic, social inequality. Church based, or faith based, services unregulated and unfunded by anything other than religious doctrine and their congregation of adherents, create an immediate and meaningful dominance by the majority over any and all minorities. Whichever church has the most attendees has the most money. Whichever church has the most money is able to provide the services required by the community. Whichever Church controls access to necessary services has power over everyone in the community. 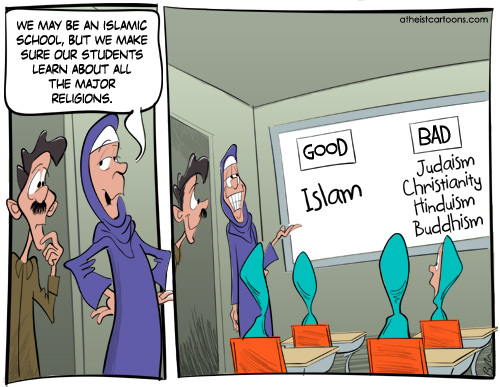 Regardless of one’s religion, spiritual belief, or world view, they would be required to adhere to whatever criteria are dictated by the religious institution that dominates their community. For the majority of Americans this would be either the Catholic church or Fundamentalist Evangelical churches. Family planning, contraception, and abortion would all be impossible within this proposed system. Religious doctrine would dictate social policy, individual rights, and individual freedoms, and an individual’s exercising of their freedom of religion would now come at the cost of access to these necessary supports and services. 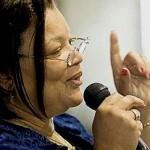 In a poor, and tasteless, imitation of her Uncle’s ‘I Have A Dream’ speech, Alveda King made it clear that homosexuality and women’s reproductive rights are not acceptable in the America being envisioned, and promoted, through this political/religious revival. By removing the funding for the social services that the public provides for themselves through their government, and allowing churches to govern and control those services, the religious right will achieve the agenda they’ve been unable to impose legally and democratically. 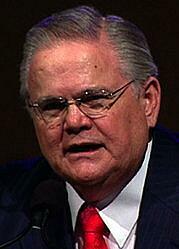 Abortion would no longer be available, and homosexuals would be completely disenfranchised. Beck’s nod to pluralism is as disingenuous and contradictory as his nod to diversity. There were more people of color on his stage of performers than there were in his crowd of approximately 96,000. His radio and television shows speak as clearly of Christian preference as they do about charges of racism against President Obama, and “reverse racism” against the oppressed white citizens of America. 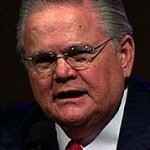 In Pastor Hagee’s closing prayer at Beck’s pre-rally event held at the Kennedy Center on Friday night, it was made clear that America’s acceptance of pluralism was a terrible mistake that must be corrected. The diverse clergy that Beck paraded onto his stage represented nothing more than a tool to wrest power from the people and their government. Once that power is removed from the people and their government, Christian preference, as well as white preference, would be established by the majority control of community resources. 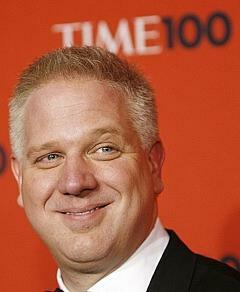 Glenn Beck stated that his goal was to reclaim the civil rights movement. His actual goal is to redefine it, and reverse it. The conservative strategy is to change it from a movement that encouraged a robust and responsible government, acting on behalf of the people and ensuring the rights guaranteed in the Constitution, to a movement calling for the drastic downsizing of that very same government. Rather than being the force to battle against state rights and inequality, Beck’s “civil rights” movement would be a hapless pawn in dismantling the very government that empowered it when the majority of Americans were against it. 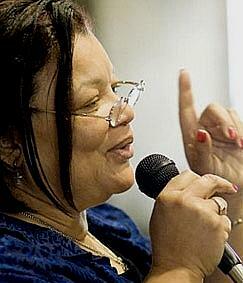 Beck’s plan will put the power back in the hands of the majority that fought against the civil rights movement. The Black Robe Brigade that Beck introduced is his political action committee for implementing this strategy. Like the original Black Robe Brigades of the eighteenth century, its role will be to agitate against government and mobilize its congregants in service of a political agenda. Unlike its name-sake, this new version will be charged with supporting a very specific, and very conservative, agenda. 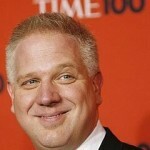 Only Glenn Beck can turn Faith, Hope, and Charity into an insidious plot to usurp the government of the United States. By removing the power that the people have over their own government, eroding the strength and effectiveness of that government, and replacing it with the church, the Constitutional rights and protections of American citizens would be devastated. To clearly understand this, his constant insistence on lower taxes must be juxtaposed with his public call for all Americans to give ten percent of their wages to their Church, or religious organization, as he did during his rally. The only thing that this would result in is a small and ineffectual representative government, and a powerful, well funded, authoritarian church of the majority. To underestimate Glenn Beck and the very aggressive movement that he represents would be a foolhardy mistake. He is a talented and charismatic communicator that wields a great deal of influence, and control, over a very large, very reactive, and very easily led audience. What he lacks in scruples, he more than makes up for in ability. He knows his audience well. He plays every wedge issue to his advantage and the promotion of his agenda. As much as it pains any person with a modicum of independent, critical thinking skills to acknowledge it, Glenn Beck’s ‘Restoring Honor’ rally was a masterful exercise in political organizing. He promised a recipe for fundamental change to this country and he delivered. He delivered it right on the steps of the Lincoln Memorial and no one even noticed. He presented a clear strategy for the undermining of the Constitutional foundation of this country and all anyone saw was a religious service. If the rest of this country doesn’t wake up, and soon, to the agenda being pursued by the far right, the Christian Reconstructionists, and the anti-government conservatives, they’re going to wake up one morning in a very different America. Progressives, Liberals, Democrats, Independents, and Centrist Republicans cannot afford to abdicate their responsibility as voters. 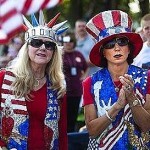 Don’t be fooled by the emotional melodrama and rodeo-clown antics of Glenn Beck. He’s a political force as well as a controversial agent of divisiveness. He may seem like a jester that many find difficult to take seriously, but he’s proven himself a master politician as well as a master baiter.